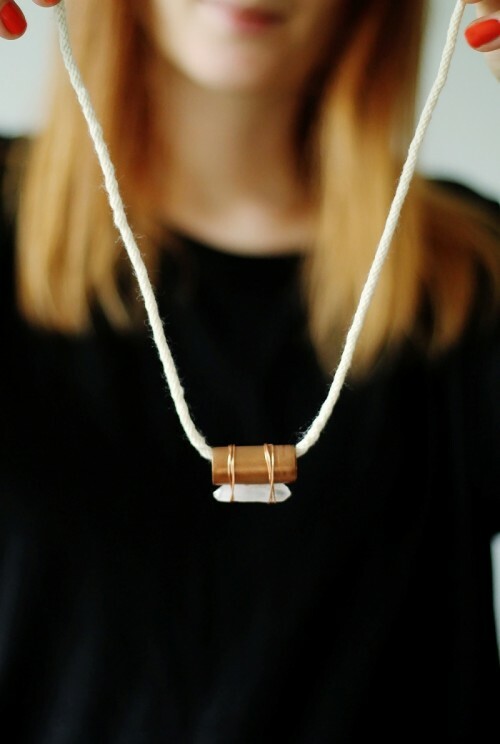 This kind of industrial necklace is easy to make and you needn’t skills for that! 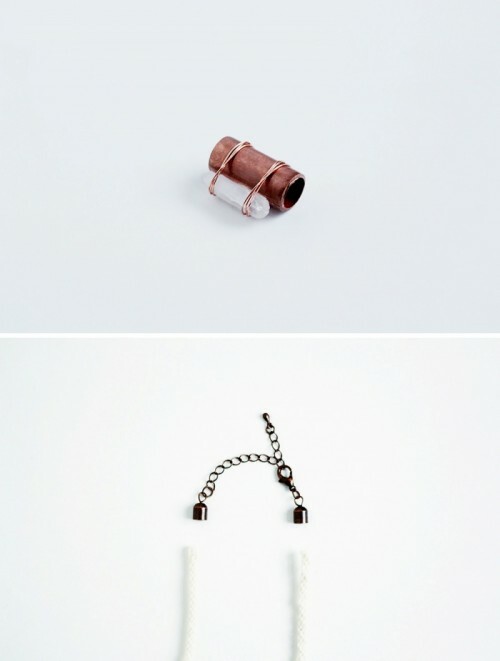 You’ll need 4cm/1.5″ copper pipe, small quartz crystal shard, 0.8mm/20G copper wire, E6000 glue. 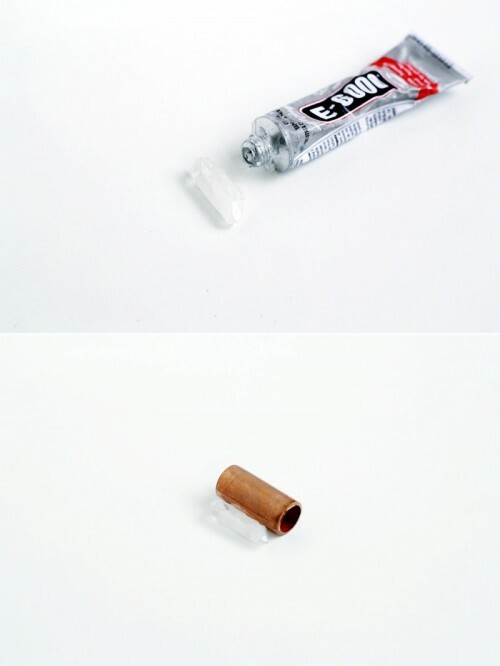 Glue your crystal onto the copper pipe and leave to dry. Twist the wires together at the back tightly to keep them secure. Cut off the excess wire and fold them underneath the pipe so they don’t catch on your clothes. 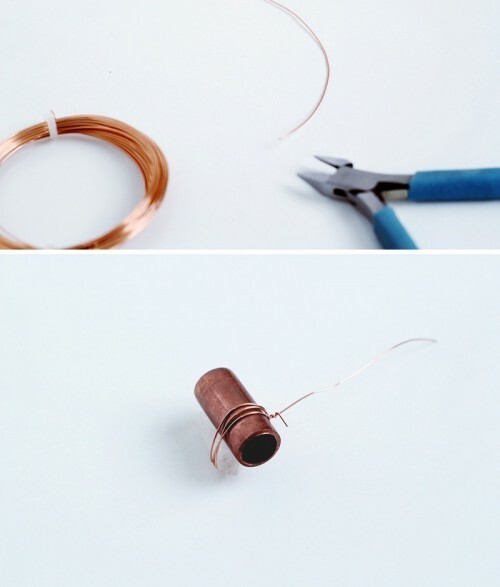 Cut around 12cm/5″ of wire and starting from the back wrap the wire around the pipe and crystal three times. If your cord ends don’t come with the clasp attached you can make your own. Enjoy your beautiful necklace!